I'd like to share with you what I learned at the February 23, 2013, Highlight: Summit County - A Code Across America Event. I am glad that Carol Smith (mw-research.com - @carologic) of Persa Zula (PersaZula.com​ - @pzula) let me know about this event, because as I plan to show in this blog post, it represents a way to gather the tech community together to benefit our region. 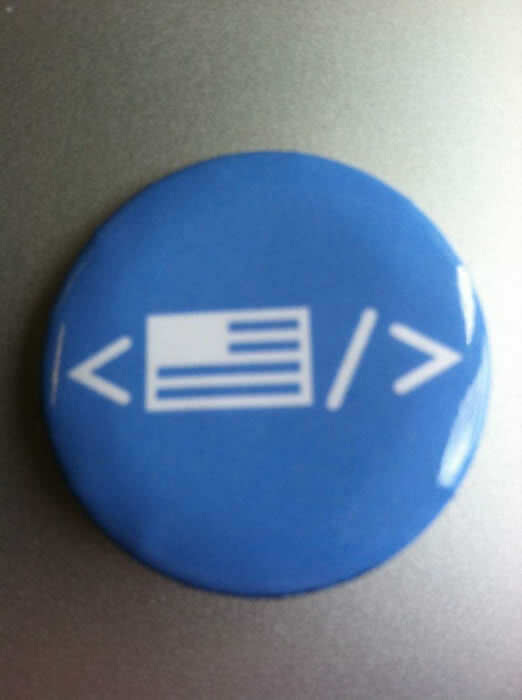 Code for America is a new non-profit, and a new kind of organization. Our team is made up of web geeks, city experts, and technology industry leaders. We are building a network of civic leaders and organizations who believe there is a better way of doing things and want to make a difference. I encourage you to go to the Code For America (CodeForAmerica.org - @CodeForAmerica) website to learn more details about what they are doing across our nation to to get government and nonprofit organizations to work together. I will focus here on what happened at the Code For America: Highlight Summit County event (#cfaSumCo), the larger plan for Summit County, and how you can learn more if you want to get involved. The February 23, 2013, event took place at Summit Artspace (AkronAreaArts.org/Summit-Artspace - @AkronAreaArts). ...a one-day event celebrating the best of Summit County through a series of brief talks and fun, hands-on workshops using technology, empathy, and experimentation in service of the places and people of we care about. It's all part of national weekend of civic innovation called Code Across America. We were told that this event was taking place in about 25 cities. The attendees of the event learned that Code For America is like “A Peace Corps For Geeks." Code Across America Video from Code for America Videos. Using the LocalWiki project (LocalWiki.org - @LocalWiki), attendees broke up into groups based on areas of interest (hiking trails, wacky & weird, government, business, etc.) and started development of a new Summit County Wiki. “NOHO” Here is video of the project and see description on Gaurav Narain Saxena (@gsvolt - gsvolt.wordpress.com) blog. Also, United Way of Summit County (UWsummit.com​ - @UnitedWaySummit) was another resource mentioned during the day. See the tweets below which includes links to some more resources including: Ohio & Erie Canalway @OECanalway; Metro Parks - Summit @metro_parks; @ConservancyCVNP for Cuyahoga Valley National Park; The Buckeye Trail @hikethebt; and the National Park Service @NatlParkService. Click on the following photos to enlarge and read the results of the brainstorming session. Many great ideas were developed at the meeting. ​Code For America Cities from Code for America. I recommend you continue to follow the #cfaSumCo hashtag to learn more about the progress on this Summit County project. The following tweets provide links to great resources, photos of the event, and of course, provide you with a great list of participants. A project of #cfaSumCo is summitwiki.org a local wiki to create a source of info about Summit County - you can help build it! I am creating content on the Summit County wiki! #cfaSumCoGeeking out! I had gr8 time at #cfaSumCo but now need to get to another event. #cfaSumCo had a great time thinking about how to make summit county a better place.Will try to write some more about environmental Ed.